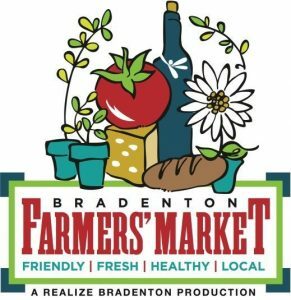 The Bradenton Farmers’ Market is Back! This year’s market will feature local farmers, artists, and food industry workers! There’s just something about that fresh smell of Fall in the air and the picturesque landscapes that this time of year lends itself to. Pumpkins growing in patches, leafy trees acting as palettes of color along the roads, piles of leaves scattered about the streets, and families suiting their children in up heavy jackets for the first time of the year….OK, maybe not down here in Florida(it’s going to approach 90 degrees next week! 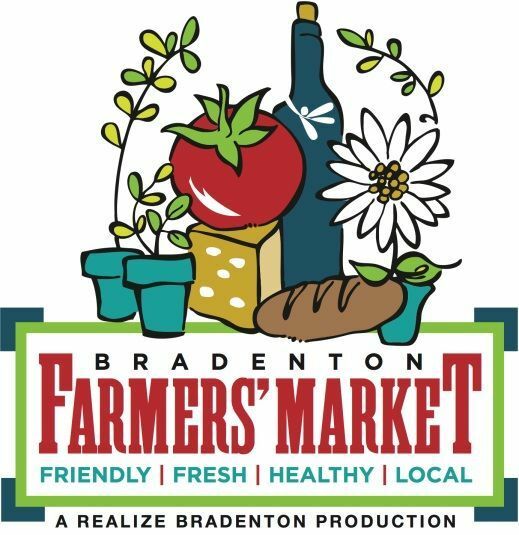 ), but as summer slowly(very slowly) gives way to cooler temperatures in the later time of the year, Bradenton gets busier, the weather gets nicer, and, most importantly, the Bradneton Farmers’ Market starts back up and runs until May of next year! Are fresh fruits, fresh vegetables, and fresh air your cup of tea? Great, that’s just another reason to make the move down here. What is the Bradenton Farmers’ Market? Every Saturday, Bradenton joins the nationwide trend of forsaking the processed, nutrition-less junk that most supermarkets sell and going back to our roots. Literally. The Bradenton Farmers’ Market offers local vendors(35 of them this year!) the chance to sell locally-grown fruits and veggies, locally-sourced seafood, and locally prepared foods, along with a bunch of other really cool stuff. The market offers a place for locals, tourists, and seasonals alike the chance to get together, talk over some great food, and support the local economy. Dogs on leashes are welcome. For a relatively small city, Bradenton is home to an eclectic mix of neighborhoods, each offering the tourist or homeowner a different set of pros/cons. One however that has next to no drawbacks is the area around Old Main Street. Just north of Manatee Avenue, Old Main Street is a tree-lined road under attack from all sides by restaurants, cafes, and souvenir shops. With the market getting into full swing, the area will be swarmed by crowds. You won’t be able to miss it! Aside from the market itself(which is awesome to begin with), there are some special extras worth mentioning to people for this season. First, as usual, the third Saturday of each month will feature local artists selling their arts and crafts and educating the public on the importance of local craftspeople. You will have access to art, crafts, live music, and great food, and it’s all happening on 4th Ave West, perpendicular to main street. Also, this season marks the beginning of a new initiative, one aimed at helping those with limited means the ability to feed their children healthy, nutritious food without breaking the bank. This new initiative allows those on the Supplemental Nutrition Program to use their EBT for purchases of up to $20. We’re all about equality here, and having an equal chance means getting good nutrition, and that is sadly difficult sometimes if you’re on a limited budget. I’m proud of the steps we’ve taken to combat this social issue. Starting October 1st and running from 9am-2pm each Saturday, the Bradenton Farmers’ Market is a potent reminder of just how diverse and productive this area of Florida really is. If you’re on the look out for some delicious, locally-grown or sourced foods, then it’s the place to be. Just another thing that makes this town a great place to live.